Laminated/interlayer fire glasses offer protection against conducted heat produced by fire, limiting the temperature rise within a room for a particular length of time. Laminated fire resistant glasses are composed of one or more sheets of float glass, bonded together by one or more interlayers. 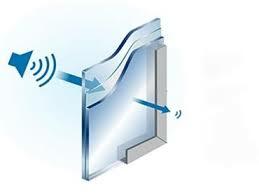 Thanks to the laminate interlayer, risks of breakage and injury are also reduced, giving this type of fire protection glass security and safety properties. 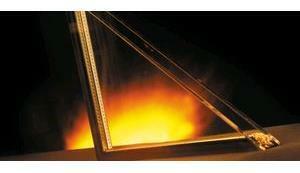 Fire glass needs to resist against impact, provide a physical barrier against gases, flames and smoke, control radiated heat and limit surface temperature. Fire resistant glasses are manufactured using a range of toughening, laminating and coating technologies. All our fire glass can be manufactured into sealed units. We also offer a range of acoustic glass with varying sound reduction levels, from 35db (6.8mm) to 42db (16.8mm). All our acoustic glass has an impact safety rating and is manufactured in accordance with the relevant standards (BS EN 14449 and BS EN ISO 140). All our Acoustic glass can be made into sealed units.